Seventy-eight Americans die every day from prescription drug overdoses, twice as many as from heroin and cocaine combined. Deaths from prescription painkillers have quadrupled since 1999. In 2012 alone, U.S. physicians and dentists wrote 259 million prescriptions for opioid drugs such as codeine, Fentanyl, Hydrocodone and Oxycontin — equivalent to one bottle for every U.S. adult. Health-care spending on patients diagnosed with opioid addiction or dependence has risen by 1,375 percent over the past four years, according to a study by Fair Health, a non-profit health databank. America's growing addiction to opioids is also driving a theft-assault on pharmacies that feeds street-level drug dealers. 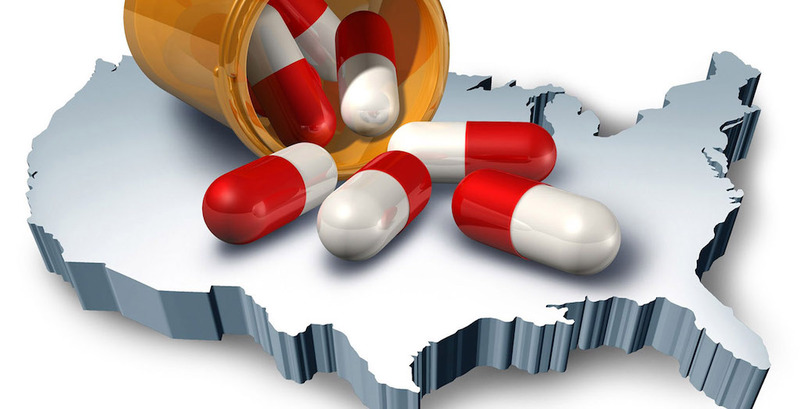 Many states have stepped up legislative and regulatory efforts to address doctor-shopping, unethical prescribers and in-pharmacy diversion; tightening access to prescription narcotics. As that supply dries up, street prices rise and criminals resort to other ways of scoring opioids — robbing pharmacies or clinics, smashing windows or cutting through roofs to avoid alarm systems. National statistics from several sources show that Texas suffers the greatest overall impact from pharmacy crime. According to RxPatrol, a pharmacy crime database funded by Purdue Pharma, Texas ranks first nationally in pharmacy burglaries. Since the beginning of 2011, 239 Texas pharmacy burglaries were reported to RxPatrol, representing 30 percent of the national total. Pharmacists Mutual Insurance Co. reports that although Texas pharmacies comprise just 9 percent of the pharmacies it insured against crime losses, they represent 17 percent of its reported crime and 25 percent of its loss costs. Texas is also home to organized gangs that target retail pharmacies. Houston-based gangs are suspected in a string of break-ins around Texas and surrounding states, but also as far away as Virginia. Texas pharmacy break-ins are on the rise and is also the base for organized crime against pharmacies and communities in other states. Two Texas lawmakers have taken dead aim at the problem, working with the Texas Pharmacy Business Council (TPBC) to file bills that would increase criminal penalties for stealing controlled drugs from pharmacies, hospitals, clinics and nursing homes. Senate Bill 536 by state Sen. Juan “Chuy” Hinojosa, D-McAllen, and House Bill 1188 by state Rep. John Kuempel, R-Seguin, would make such thefts Class 3 felonies punishable by up to 10 years in prison. In 2015, a Seguin pharmacy was burglarized three times, twice after installing an advanced security system and narcotics safe. A Waco-area pharmacy had six break-ins in 18 months. On Dec. 31, 2015, burglars stole $1 million in prescription drugs from a Euless pharmacy (watch the video). As the largest organization representing Texas independent pharmacies, TPBC understands that pharmacists have a vital role in securing and responsibly dispensing controlled drugs. The state’s Prescription Drug Monitoring Program (PMP) provides a database for verifying prescriber and dispenser registrations and to inquire about the patients receiving controlled drugs. Texas pharmacists must report the dispensing of Schedule II-V drugs to the program within seven days of dispensing them; however, physicians and dentists are not required to check those reports before prescribing or dispensing controlled drugs. Opioid abuse is a systemic social and health-care crisis that demands shared responsibility among manufacturers, distributors, prescribers, dispensers and patients. Even so, some groups insist that only pharmacies should be required to check patient names in the PMP database before dispensing a controlled drug. Pharmacies shouldn’t bear all of the monitoring and reporting burden just because they are at the end of the distribution network. Pharmacists do not prescribe high-risk painkillers or diagnose the patients for whom these addictive drugs are so abundantly recommended. They should not have to second-guess prescriber decisions through the PMP. Accordingly, TPBC is working with the Legislature to ensure that Texas physicians check the PMP database when writing their prescriptions.